Welcomed into the arms of the Lord on January 18, 2019 at the age of 85. 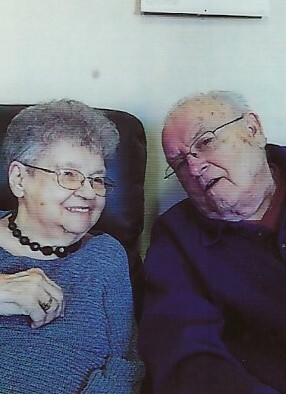 Loving wife for 68+ years of John. Devoted mother of Jean, John (Lyn), Daniel, Gary (the late Shelby), Jody (Gary) Kuzmic, Jeffrey, Ann (Bob) Lancour, William, the late Ronald, Michelle (Steve) Blasier and Mary (Dave) Braun. Loving grandma of 17 grandchildren and 23 great grandchildren. She is further survived by sisters and brothers in law, nieces, nephews, other relatives and friends. Mary cherished her time with her family, her animals and traveling in Northern Wisconsin. SPECIAL THANKS to Allay Hospice and St. Mary's Manor for giving her all the love and comfort she needed. A Mass of Christian Burial will be celebrated on Tuesday, January 22nd at 11:00 A.M. at OUR LADY QUEEN OF PEACE CHURCH 3222 S. 29th St. Visitation AT CHURCH from 9:30 to 10:45 A.M. Interment Mount Olivet Cemetery.